There is this general feeling floating around that we are on the brink of a major social transformation. We anticipate important change, even thought not everyone agrees on the promised land or on the path towards it. There is this feeling that everything must be revised, our decision making processes, our economy, including our value exchange system. But changing all that at once is definitely not an easy task. First, it is not an acceptable thing for the 1%, because this would undermine their power. Second, it is not an easy thing for us, the 99%, because this implies a change in the way we do things. There are costs associated with this kind of change, some jobs will disappear, people will need to learn how to reintegrate new systems of value production and distribution, some of us will lose our positions of influence, our social status, etc. Whatever the change process, it needs to overcome these two barriers: One raised by the 1%, which can mount a fierce opposition. The other one imposed by us, because not everyone can bare the uncertainty underlying a radical change and the insecurity that comes with it. So if you ask for a big change, what is your model of change? Social systems are not static. A socio-economic mode of production that appears on a certain stage of evolution to replace one that became a hindrance to further evolution, can itself become such hindrance when it gets established and the development of new forces of production challenges it. Social systems are not good nor bad in essence. They are dynamically stable social patterns, they are attractors of behaviour. They are stable as long as the conditions allow. 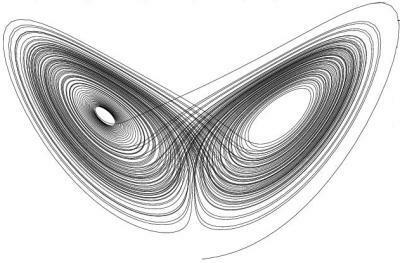 Once the conditions change society can migrate into a different attractor, which means to undergo deep structural transformations until it reaches another dynamically stable equilibrium. What can induce these changes? Among other things, technology can. Technology introduces new possibilities, which, once actualized, can modify relations between individuals. Some relations are very important and determine large scale social patterns, like the relations of property, the relations of production and exchange of value, etc. The new digital technology alters a set of these important relations and, in doing so, it induces major structural transformations. We are now witnessing a shift as important as the industrial revolution, the passage from feudalism to capitalism and socialism, which was also caused by a technological advancement, the invention of the engine, the introduction of the possibility to produce and transport a large volume of material goods with only very few workers. Metaphorically speaking, our model of change is a process of metamorphosis. The time has come for a new social structure to emerge. The social substrate is ready to receive it. The old structure is disintegrating, living space for the new to form, feeding on it. The butterfly is already taking shape within the decomposing caterpillar. The caterpillar is the present-old world. The butterfly is the new world we are building. We are the agents of change. #occupy camps are centers from which this transformation spreads, from which the new structure emanates. #occupy camps are embryos of new cities within cities. Participatory democracy is our new form of governance. #occupy camps are embryos of new societies. #occupy camps are NOT just sites of protest. They are not just new political spaces. We, the occupiers need to go beyond that. Most of us apply an old model of social engagement to understand/explain what is happening now, and that model is reaction-based. The #occupy movement in NOT a reactionary movement. It is a CONSTRUCTIVE movement. Reacting to government wrongdoing by protesting and formulating demands can only produce cosmetic changes to the system, and some times it even reinforces the tyranny. This movement should NOT formulate demands, IT SHOULD BUILD NEW ALTERNATIVES. We are not protesters, we are “indignados” and WE ARE BUILDERS. There is no universal consensus around this question, but there are a lot of ideas on the table. First, we need to explore what is possible. Second, we think that we’ll build a variety of new systems, each one adapted to its context, connected to the local past, to the local culture. I recently attended Contact summit where I saw a good portion of this spectrum of possibilities introduced by the new digital technology. There is a whole new infrastructure emerging which allows us, individuals, to communicate securely on a network that belongs to us, to coordinate and to collaborate. It also allows us to better manage our vast commons and to filter and structure our individual contributions. It allows us to create value and to exchange it without the need to go through established channels, which are controlled to different degrees. The new infrastructure for the new world is being built, it is coming together. It’s up to us to start using it in the best possible way, in context. Occupiers everywhere, take this spectrum of new possibilities and imagine a world for yourselves. Let’s build our parallel world without attacking to destroy the present-old world. We’re not destroyers, we’re builders. We don’t need to destroy what’s already crumbling down. Don’t sweat on it. If we succeed in building a better place people will populate it. Talent and resources will gradually start flowing from the present-old system to the new, until the new replaces the old. This is our model of change and we are fully engaged in making it happen. Thank you for the opportunity to offer feedback, and bravo for so eloquently taking this piece on! "#occupy camps are the initial centers from which this transformation spreads, from which the new structure emanates." I would so much rather see "#occupy camps are centers from which this transformation spreads." The word "initial" feels struck me personally as a dishonor to all of the thousands of changemakers around the world who have been building centers from which "the transformation" has been spreading for many years. We may be finally on the verge of beginning a "next level" of global grassroots collaboration for change, but that should not communicate that we are beginners. The global social change space has been, in fact, rapidly expanding, prototyping, and collaborating across talent silos on designing new kinds of human and environmental impact-generating systems for the past 3 decades, even before the advent of social media - but most especially over the past decade of rapid digital globalization. What Paul Hawken has called "the biggest movement in the world that nobody saw coming" is now increasingly connected - I would love to hope that the #occupy movement would be perceived as a call to connect the latest advances in better world building to join forces and nurture each other's acceleration, spread and scale in providing alternatives for local and global development. I like very much the link to origins of the Tea Party & Arab Spring - I think your context could be even further strengthened by quoting some of recognizable voices from across the entire global socio-politico-economic spectrum, who have been speaking on the world's recent revolutions. Evoke an inspiring mosaic of all the voices that are saying the same thing. The major criticism I am hearing here in Europe is that there is no clear vision or objectives. I would love to see #occupy find a way to insert and assert the concept of "emergence"... Embracing emergence - offering a platform that is designed to build systems based upon who we are and aspire to be as human beings, and that uplifts what we already have today that does (or can) serve us in piecing the mosaic together in new and beautiful ways that leverage the good in how we enrich each other in this new digital day. One last thought is about the word "sustainable." I am of the camp that agrees with Jean Russell of http://thrivable.net that "sustainable" does not reach high enough as a collective ambition. What we need to aim for are systems that thrive and enable the emergence of thriving communities. Thanks again for the thought provoking start and opportunity to share. Bravo! and best of luck in your continued massaging of new directions and concepts into recognizable words.